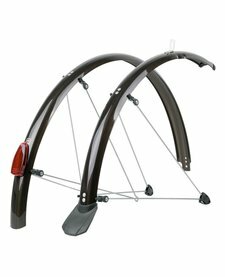 SKS Chromoplastic Full Length Mudguards 26"
SKS Chromoplastic Full Length Mudguards 26". Available in Black or Silver, in 55mm or 65mm widths. The classic high quality touring and commuting mudguard set. 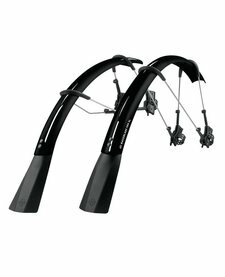 The ultimate clip on mudguard set for road bikes with up to 32c tyres. Quick and easy installation / removal makes them perfect for your winter or summer bike. 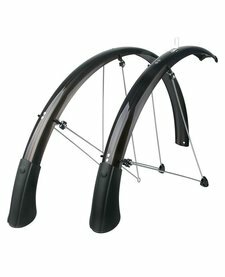 SKS Chromoplastic Full Length Mudguards 700c. Available in Black or Silver, in 35mm, 45mm or 50mm widths. The classic high quality touring, commuting and road bike mudguard set. 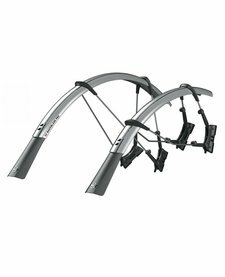 SKS Raceblade Long Mudguard Set 700c x 25mm, available in black or silver. 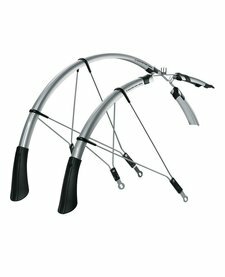 A full length mudguard set for road bikes without braze on mounts, for up to 25c tyres.